I think we all have a 'default' outfit in our closet. We feel confident in this outfit and possibly comfortable. 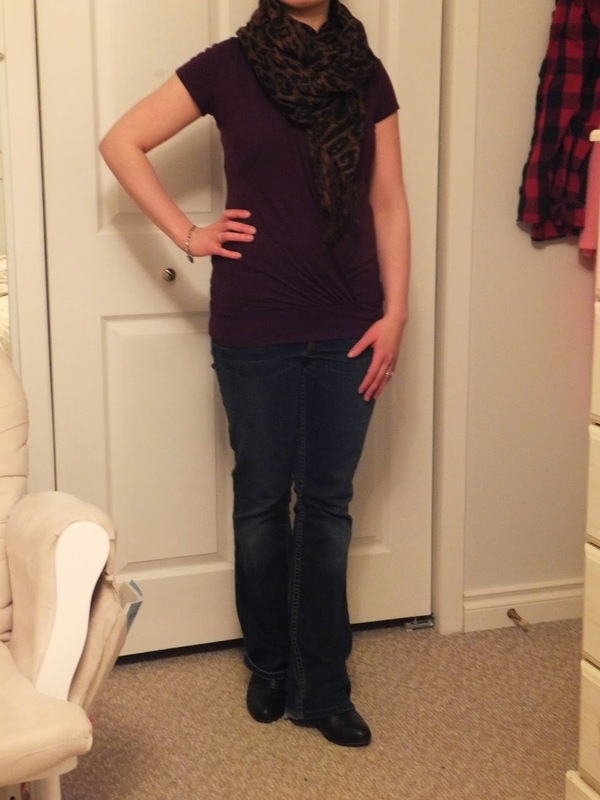 I can usually be found in my jeans and my plum nursing top. 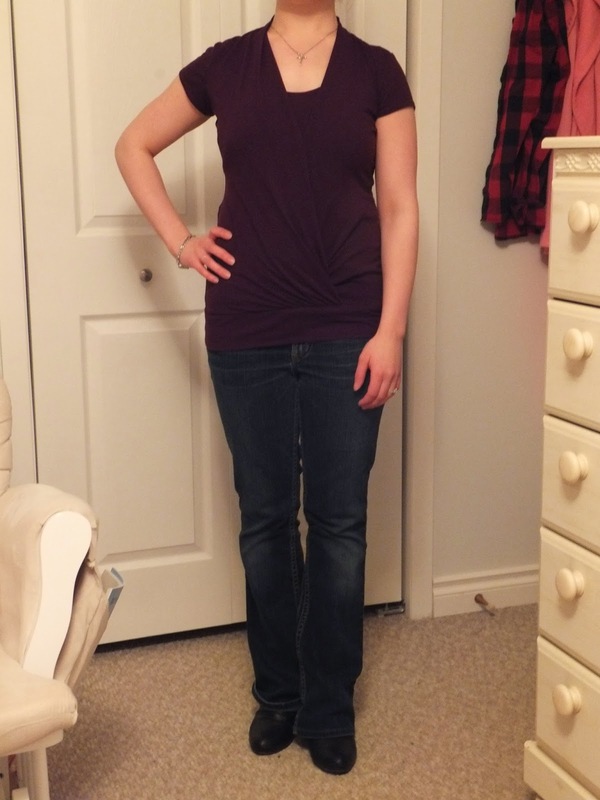 The jeans fit well and I feel comfortable in the top. I can nurse anywhere I go and not have to worry about wardrobe malfunctions. I add a scarf and sometimes a sweater and I am good to go. Happy Wednesday!